A majority of voters prefer Theresa May’s deal to crashing out of the EU, a poll suggests. Asked to choose between the PM’s proposal and no-deal, 42 per cent opted for the agreement, compared to 32 per cent who thought it should be rejected. The poll also suggested there was growing momentum among the public for the negotiated deal, with support nearly doubling in a fortnight. And despite the huge uncertainty around Brexit, voters still prefer the Tories to Labour. Some 40 per cent back the Conservatives while 35 per cent favour Jeremy Corbyn’s party, according to the latest YouGov research. In a glimmer of hope for the PM, support for her deal has increased from just 15 per cent two weeks ago to 27 per cent earlier this week. 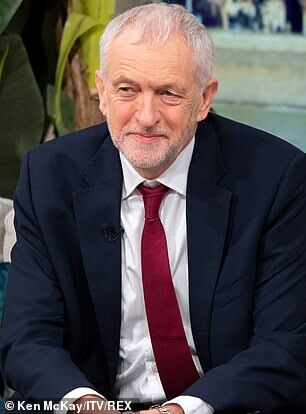 Asked who would make the best Prime Minister, the poll, for the Times newspaper, found 36 per cent of people prefer Mrs May while 23 per cent favour Mr Corbyn. Another 38 per cent said they were ‘not sure’. The figures appeared to back up claims from a senior Cabinet minister that the public mood was moving in Mrs May’s favour. Dr Liam Fox urged Conservatives to do their duty and back the plan. The Trade Secretary told BBC Radio 4’s Today programme: ‘I think the Prime Minister is changing the public mood. If you look at what is happening with polling, there’s clearly a shift there. 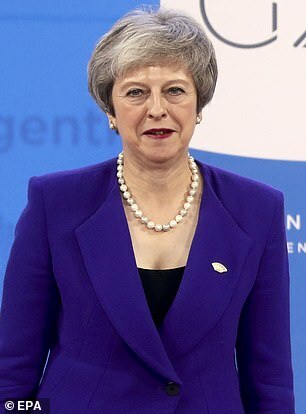 Mrs May continued to push for her post-Brexit vision of Britain by vowing to press ahead with a clampdown on low-skilled migrants. The Government’s immigration plans have been delayed by a Cabinet split, with Chancellor Philip Hammond and Business Secretary Greg Clark both arguing that the economy will continue to need some lower skilled migrants after Brexit. But, speaking to reporters on the way to the G20 summit in Argentina, the PM insisted she would not back down from introducing a skills-based system. 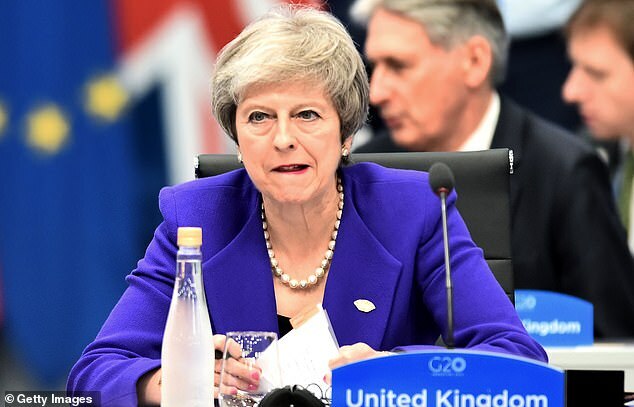 Some employers have criticised the plans as ‘ignorant and elitist’ but Mrs May said it was up to business to provide better training for British youngsters, rather than continuing to rely on a steady flow of migrants.